Your marriage is bound to have conflict - it's a simple fact of life. But you need to know that your conflict can actually strengthen you, your spouse, and your marriage! 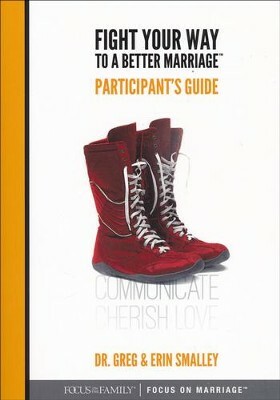 This Participant's Guide has everything you need to discover this truth and walk through the Fight Your Way to a Better Marriage Curriculum Kit, by Greg and Erin Smalley. Each participant should have their own copy of the Participant's Guide. I'm the author/artist and I want to review Fight Your Way To a Better Marriage, Participant's Guide.